Summary: No precipitation throughout the week, with high temperatures rising to 79° on Friday. 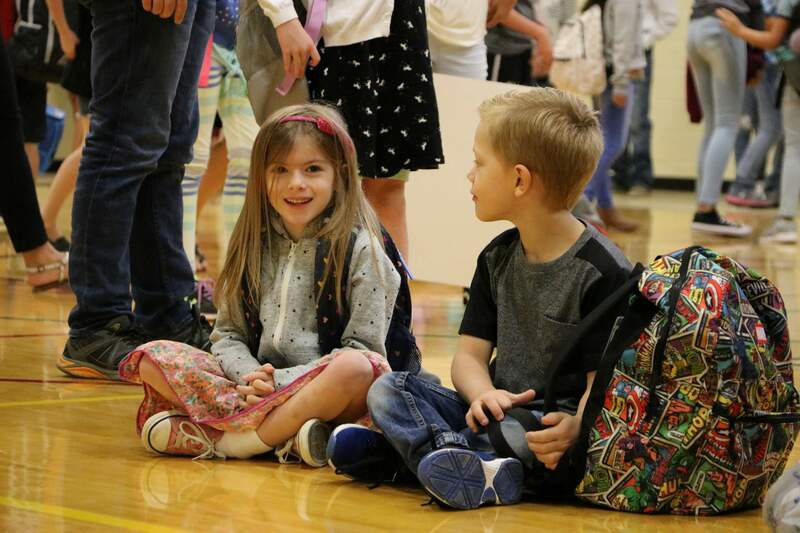 Sunnyside Elementary first-graders Rosalyn Bulger, daughter of David Bulger and Samantha Roberts, and Tristan Alleman, grandson of Dee Wendland, enjoy their first day of school on Monday. 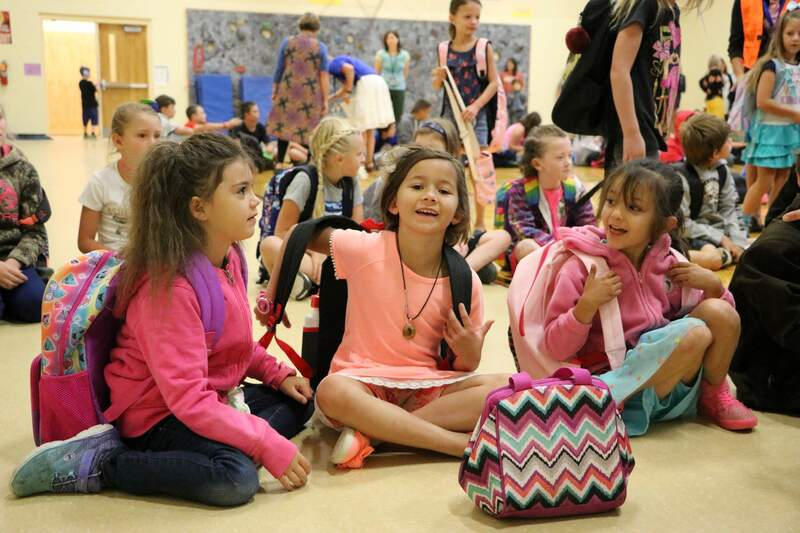 First-graders Adelle Ping, daughter of Justin and Tiawna Ping; Kylie Loose, daughter of Katherine and Raymond Loose; and Serenity Hernandez, daughter of Phillip Hernandez; join returning students Monday at Sunnyside Elementary. 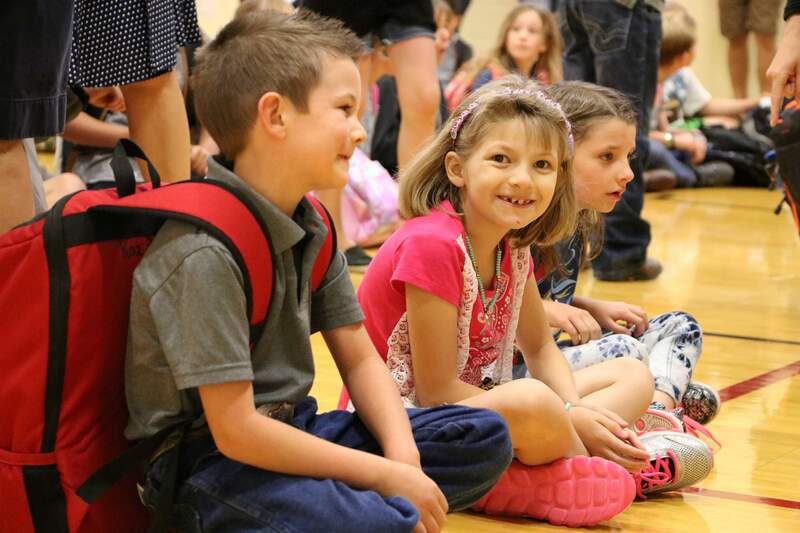 First-graders Kazden Scholes, son of Jason and Quincee Otteson; Aurora Gentry, daughter of Alisha Cyphers and Jeremy Gentry; and Tatum Otteson, daughter of Chantel and Brody Otteson; are all smiles at Sunnyside Elementary on Monday, their first day of school. 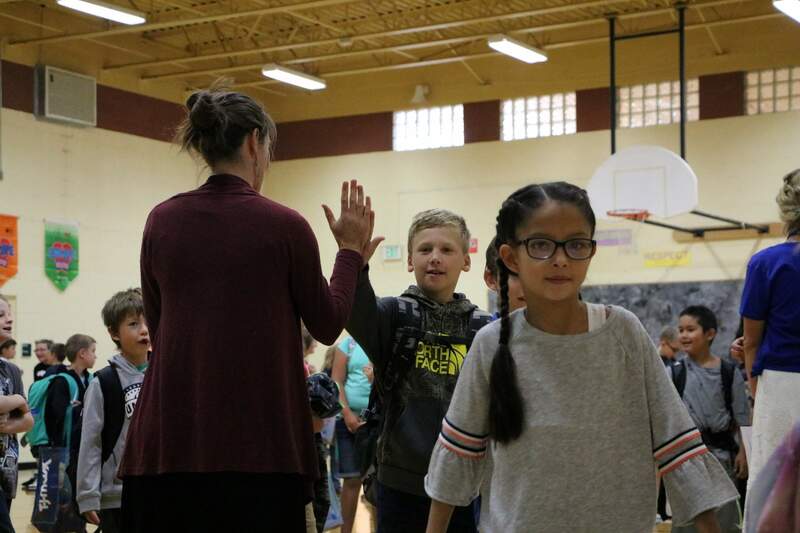 Counselor Autumn Frickel high-fives students Monday morning at an assembly at Sunnyside Elementary. At the other end of the high-five is third-grader Mason Philpott, son of Erin and Jim Philpott. Walking in front is third-grader Destiny Gonzales, the daughter of Aaron Gonzales and Ursula Lujan. La Plata County wants to know: Will voters support a tax increase?